For over 40 years, API has been an aquatics industry leader. 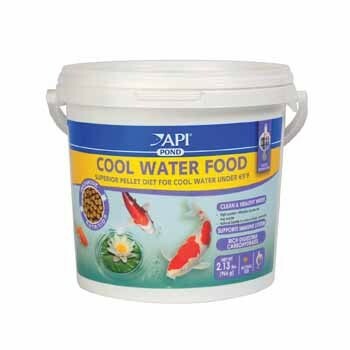 The truly innovative API Pond Food range has been developed by the research and development team of the Waltham Centre for Pet Nutrition, the worlds leading authority on pet care and nutrition. 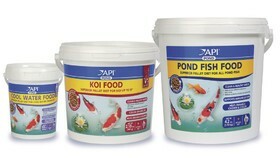 API provides innovative recipes, reduces water pollution and helps to maintain a clean and healthy pond environment. A premium, balanced and complete diet specifically formulated to meet the nutritional requirements of koi to maximize grotwth and body confirmation. 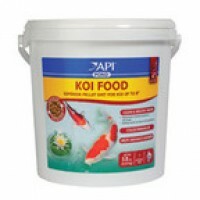 This unique formula blend of carotenoids, marigold, spirulina and kelp algae, ensures superior color enhancement of all koi. Promotes clean and healthy water. Contains color enhancing nutrition and helps enhance growth. 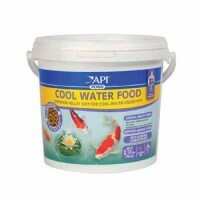 Has a high protein formula for growth and warm water nutritional requirements of all pond fish.